From an airstrip in Saudi Arabia, the CIA launches drones to 'legally' kill Al-Qaida leaders in Yemen. On the North Pole, Russia plants a flag on the seabed to extend legal claim over resources. In Brussels, the European Commission unveils its Emissions Trading System, extending environmental jurisdiction globally over foreign airlines. And at Frankfurt Airport, a father returning from holiday is detained because his name appears on a security list. Today, legality commands substantial currency in world affairs, yet growing reference to international legality has not marked the end of strategic struggles in global affairs. Rather, it has shifted the field and manner of play for a plurality of actors who now use, influence and contest the way that law's rule is applied to address global problems. 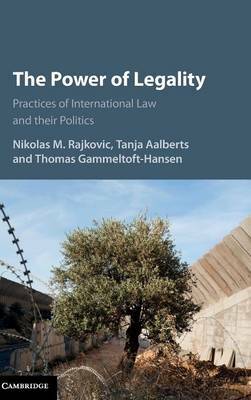 Drawing on a range of case studies, this volume explores the various meanings and implications of legality across scholarly, institutional and policy settings.